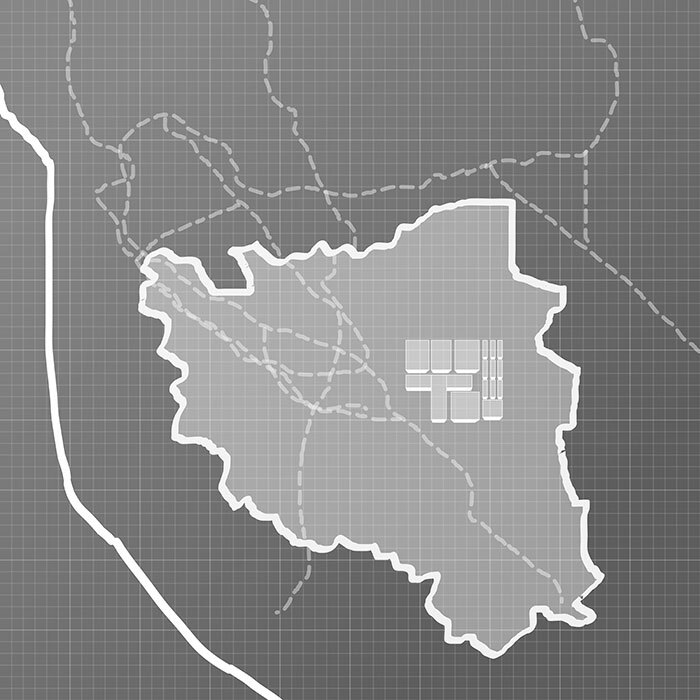 UCSC’s slow expansion into Silicon Valley, the hub of innovation and technology, has been ongoing for years. But after a call for proposals for degree programs by administration, the Santa Cruz Faculty Association questions the absence of information and thorough discussion. A 35-mile, 45-minute drive over the hill takes you to Silicon Valley, a region considered the hub of entrepreneurship and innovation. Silicon Valley, the home of tech giants like Facebook, Google and Apple, might soon house what may resemble another UC Santa Cruz campus. While UCSC’s goals of expanding into Silicon Valley aren’t new, the creation of full degree programs is only in the formative stages. The benefits of “Silicon Valley Initiatives,” which provides educational opportunities in science, technology, engineering and mathematics (STEM) at all levels, has been in discussion since at least 1999. Santa Cruz Faculty Association (SCFA) expressed concerns, however, through a letter addressed to the Senate Executive Committee (SEC) about the lack of information provided about the allocation of 14 full-time employees to unspecified academic programs in Silicon Valley. 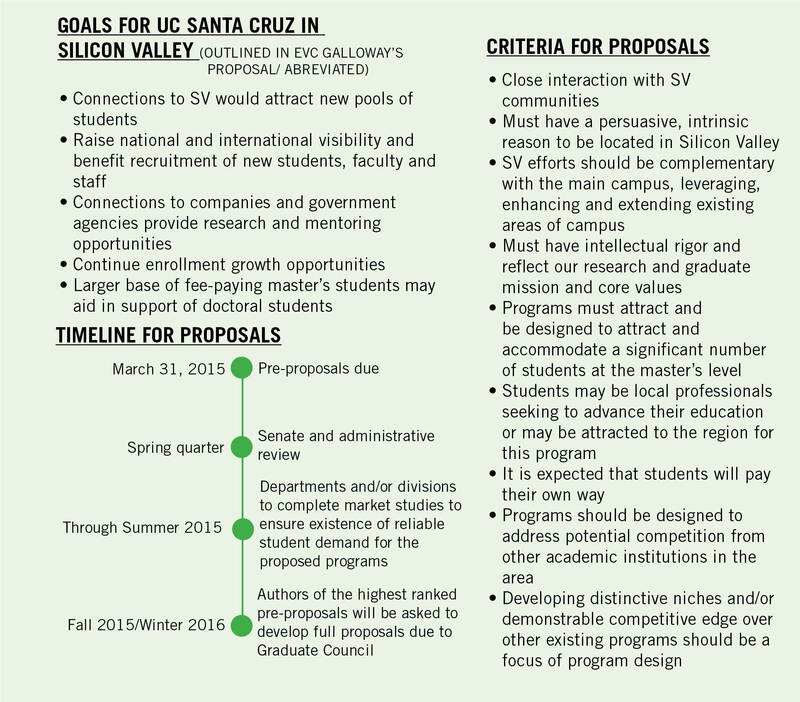 The letter lists several concerns about the effects an expansion to Silicon Valley might have on education on the Santa Cruz campus. On Dec. 22, Executive Vice Chancellor Alison Galloway announced a call for pre-proposals for academic programs, which will require the campus allocate up to 14 faculty positions over the course of three years to start the degree program development. The size of the investment is still being determined based on need. Academic Senate Chair Don Brenneis said the senate was involved in discussing the project and approaches, but was not consulted about the faculty allotment. He said the senate, which is a legislative body and system of committees made up of faculty, had similar concerns as the SCFA. “By the time that the question of pre-proposals came up, it had already been decided that the positions would be invested in Silicon Valley,” Brenneis said. He said there were many unanswered questions, but he felt Galloway is making an effort to provide the information needed. Ronnie Lipschutz, politics department chair, College Eight provost and SCFA chair, said there’s financial motivation behind the expansion to Silicon Valley — attracting students and professionals who can afford to pay for programs for specific advanced degrees. SCFA has asked to receive all information, including “potential risks of the project, long-term costs, budget projections and an analysis of how this plan comports with the campus’ short and long-range priorities” by April 7, in preparation for the next senate meeting on April 22. Lipschutz said there’s some skepticism around investing in a project where the return is unknown and allocating faculty when many departments are struggling to provide courses. The Committee on Planning and Budget (CPB) released a response fall quarter, stating that the approach toward the project was narrow, as it seemed to exclude arts and humanities. “An initiative of this type would take advantage of what UC Santa Cruz does best, and what makes it unique: developing knowledge at the intersection of the sciences and the arts and humanities. However, successfully implementing an umbrella program will require collaboration across units and leadership to create the necessary strategic alliances,” wrote CPB Chair Daniel Friedman. Scott Hernandez-Jason, director of UCSC news and media relations, said in an email statement that Chancellor George Blumenthal and Executive Vice Chancellor Galloway are looking forward to talking more about the initiative with faculty.